From time to time I will highlight other websites and blogs that I like and find useful. Places I think might be useful to YOU, my viewers. Today i’m highlighting Mom-spot.com. 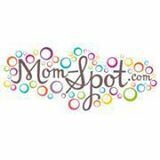 Mom-spot.com has over 90 areas of resources for you, as a mom. We address everything from Adventures to Education to Health and Travel. Together we share the highs and lows of mastering motherhood! Although they are based in Dayton and Cincinnati, Ohio, so much of their resources are universal. You can purchase books and DVDs. I feel the bloggers are relatable and sometimes funny and other times serious. It’s a comfortable place to go to. Very useful stuff there.